A rudimentary proof page for a paper which never appeared. Printed in Hobart late 1836. 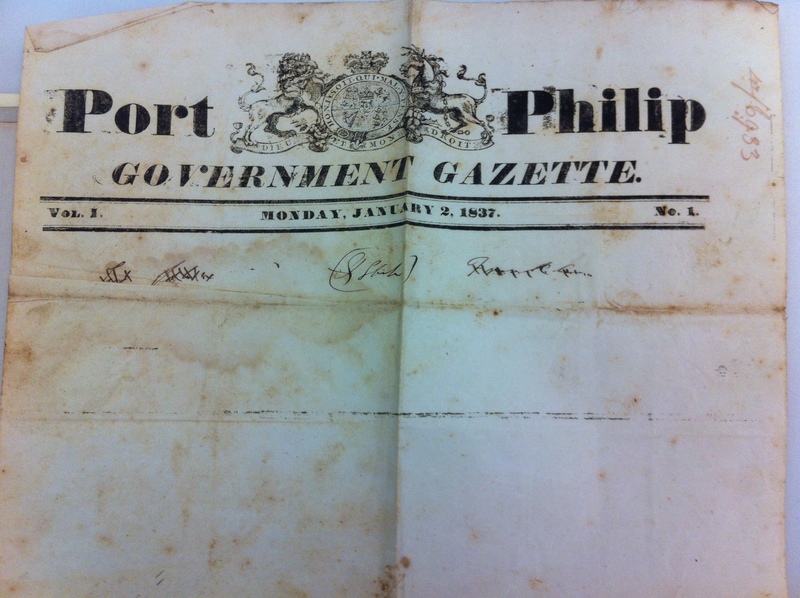 In a long and piteous letter to Governor Gipps written from Kempsey on 24 Aug. 1842, Bent described how when he was first thinking of moving to NSW, some of his influential Sydney friends had persuaded Governor Bourke to establish a small official gazette and Government Printing Office at Port Phillip, and to place Bent in charge of it. These plans came to nothing because of Bourke’s resignation. Bent obviously wanted Gipps to adopt a similar plan. There is no independent evidence that Bourke ever entertained such an idea but Bent obviously had hopes that he would. He forwarded with his letter to Gipps ‘one of the numerous proof specimens of type and the proposed title of the Gazette’ which he had just managed to find among his papers.